Jeep Service in Detroit, MI | Ray Laethem Chrysler Dodge Jeep Ram " "
Ray Laethem Chrysler Dodge Jeep Ram of Detroit, Michigan offers customers a state-of-the-art service and parts center dedicated to keeping you vehicle running like new. 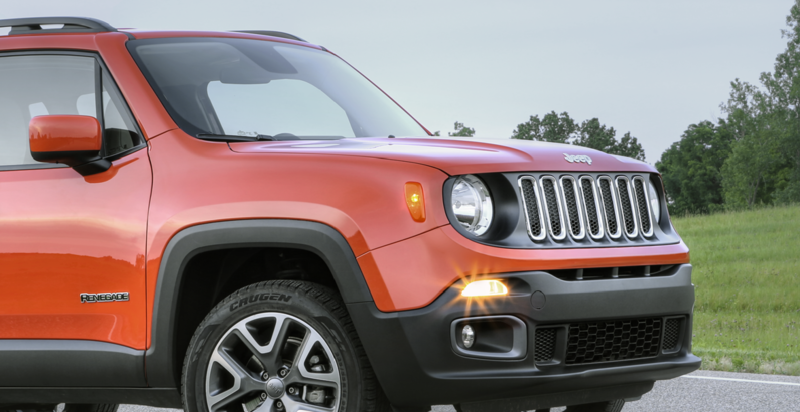 From our team of expert Jeep mechanics to our inventory of genuine Mopar parts, we know how to take care of Jeep vehicles like no other dealership. Take advantage of our Saturday morning hours and express lane services so you don’t have to rearrange your busy schedule. When you turn to the service team here at Ray Laethem Chrysler Dodge Jeep Ram, you know your Jeep vehicle is getting the attention it deserves. Service your Jeep vehicle at your trusted Detroit, MI Jeep dealership. Whether your Jeep vehicle is in need of a tune-up or repairs from a recent accident, we at Ray Laethem Chrysler Dodge Jeep Ram have you covered. Visit our Detroit, MI dealership for a brake inspection, multi-point inspection, or oil change. Routine vehicle maintenance can help keep your Jeep vehicle on the road for longer. If you’re in need of collision repair or a simple tune-up from your daily commutes, there’s no beating the service quality here at Ray Laethem Chrysler Dodge Jeep Ram. Making your upcoming service appointment with Ray Laethem Chrysler Dodge Jeep Ram has never been easier. Schedule your appointment online or give our Detroit, MI service center a call so you can experience our superior services for yourself!